Join us for our first ever Crawfish Boil! This fundraiser is benefiting CAPSLO's Adult Daycare Center, located in Paso Robles, which provides caregivers for adults with Alzheimer's, dementia, or other cognitive impairments. 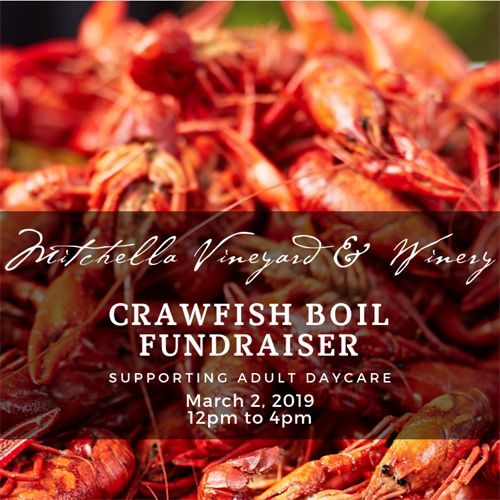 We will have live music by Ian Ormiston, delicious, Lousiana style crawfish, and of course Mitchella wine!